A few weeks ago, AMD took the courtesy of revealing the name (and nothing else) of their upcoming 2017 major feature update for Radeon Software. But today, the totality of AMD’s Radeon Software Adrenalin Edition is finally upon us. Succeeding Crimson and Crimson ReLive Editions, Adrenalin continues AMD’s yearly cadence of driver software features pushing, among other things, the user experience (UX) angle. 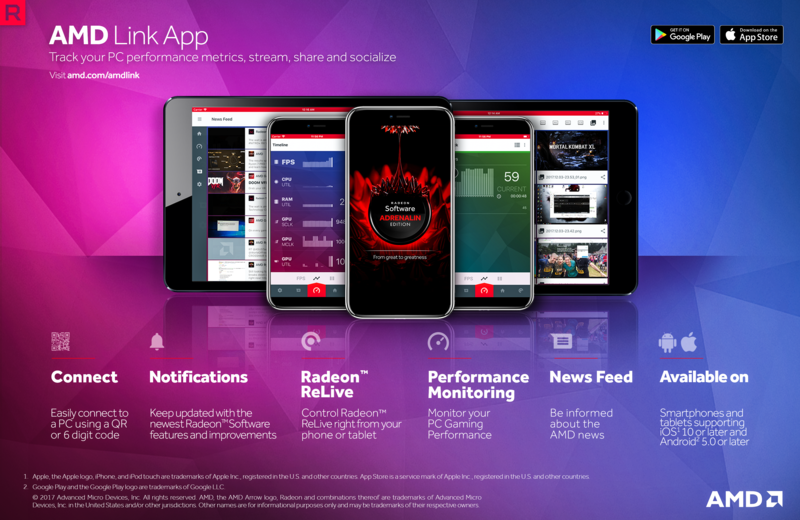 For the headliners, Adrenalin introduces the new Radeon Overlay and the AMD Link mobile app. 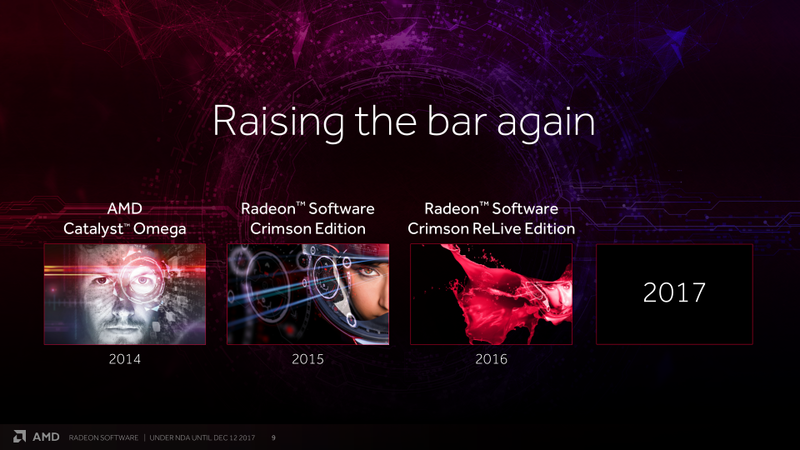 Beyond that, this update is quite reminiscent of Radeon Software Crimson ReLive 17.7.2, bringing a number of widespread improvements and expanded support for current features. Among the highlights is Enhanced Sync 'E-Sync' for all GCN GPUs, a generic Radeon Chill profile, WattMan profile saving/loading, a slew of new ReLive streamer features, and streamer-oriented social media integration. Otherwise, Adrenalin 17.12.1 comes with a bevy of bug fixes for games, including, yes, a fix for the Overwatch hanging issue. To start, Adrenalin is in a curious spot considering that July’s wide-ranging 17.7.2 already brought a variety of enhancements and features. So as a yearly feature update, there’s less build-up than Crimson or Crimson ReLive. And in some ways, Adrenalin is less flashy than Crimson ReLive, which included so many hardware-dependent features that tables were necessary to make sense of it all. While this might make Adrenalin seem less extensive, today’s release is simply more UX and streaming/social focused, building off of what has already been established in previous versions. 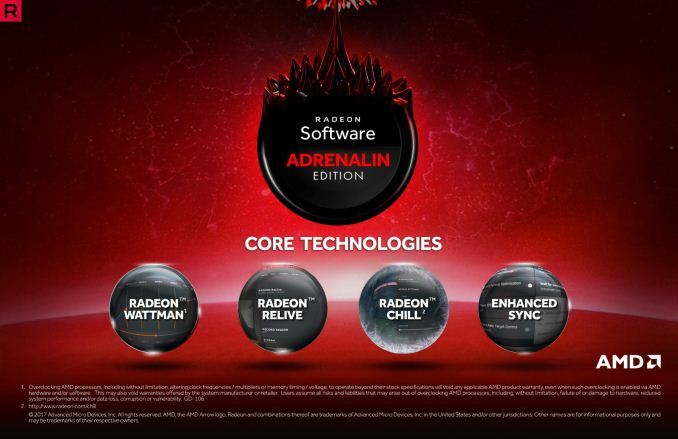 For Adrenalin’s marquee features, Radeon Overlay and AMD Link, they are more about the different ways of presenting Radeon Settings features to the user, rather than features in and of itself. As a set, AMD is pushing Enhanced Sync, ReLive, Radeon Chill, and WattMan together, and to a lesser extent Frame Rate Target Control (FRTC), most of which get wrapped up into Radeon Overlay (and AMD Link). We won’t be going too much in depth with the details of these technologies, but our earlier Crimson Edition and Crimson ReLive Edition coverage are worth reading if these terms are unfamiliar. As for AMD’s promise of a minimum six annual WHQL drivers, they remain faithful. Adrenalin Edition 17.12.1 is intended to be WHQL certified at launch, and would mark the 8th WHQL release of the year (after 17.7.2, 17.9.3, and 17.11.1). Though to be clear, not all of these releases were WHQL certified at launch-day, but were updated later with WHQL certification. However, as we have mentioned in the past, WHQL certification does not cover game-specific bugs. So 17.11.1 WHQL has no bearing on whether Overwatch crashes or not (though Adrenalin does happen to resolve that particular issue). 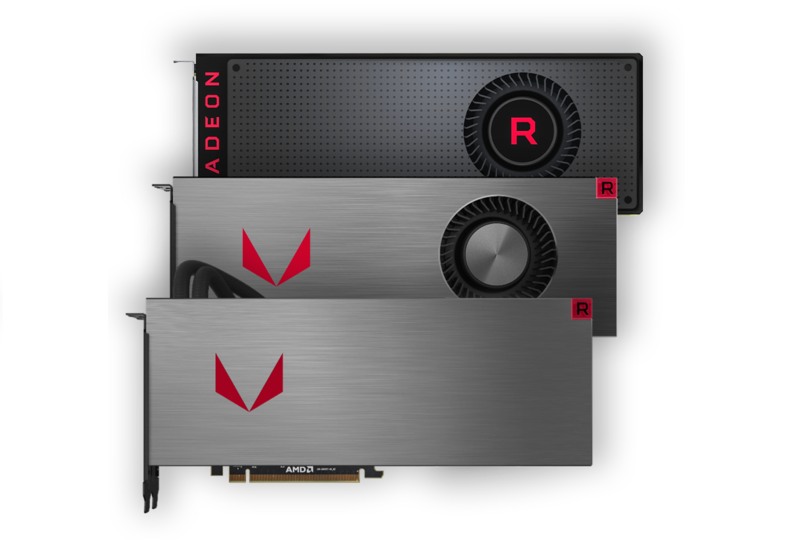 A good amount of readers, and not just ours, are strongly under the impression that Adrenalin is an RX Vega super driver. This is not the case. 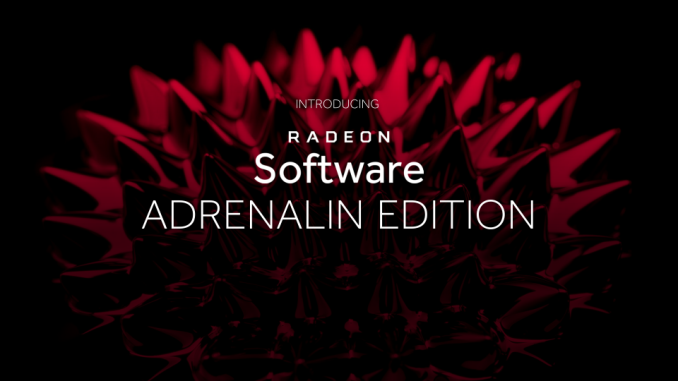 Adrenalin is explicitly focused on the broader Radeon user base; it does not bring any Vega-specific performance enhancements or documented changes to the behavior of Vega-specific hardware features. As for game-dependent enhancements to pre-existing games – features like Wolfenstein II’s Rapid Packed Math (RPM) support and to a lesser extent GPU Culling and Deferred Rendering – Adrenalin is not bringing any of those either. On that note, AMD commented that “any functionality or enhancements would have been made available with our day-0 game drivers and not held back for Adrenalin Edition.” This follows AMD's previous committment to immediate day-0 driver updates over larger update packages for performance. Given the nature of Vega’s forward-looking hardware features, this might be seen as surprising. But since Omega, these major annual updates were never intended to be all-in-one wonder drivers. And as AMD has reiterated over the past couple years, their driver release methodology has shifted to immediate release for bug-fixes and launch-day drivers, while major annual releases focused on quality assurance, user experience, and software feature updates. Even at the time of last year’s Crimson ReLive, AMD stated that the days of 40%+ performance increase drivers were set to disappear. So in short, Adrenalin details nothing Vega-specific and there was no information disclosed on what Vega optimizations are coming when. The focus is on interaction and availability of the features within. 2017 has been the worst year for GPUs in a long time. Even when excluding the mining turbulence, the way perf per $ has evolved is just really poor. AMD screwed up with Vega, 1 year late and every metric a disaster while Nvidia has no reason to do more. Granted, memory prices are a substantial headwind too. Worst case scenario, this is the beginning of the end for PC gaming, if there is no competitive pressure, if memory prices don't come down (or alternative solutions are explored), GPU makers might focus more on pushing prices up than on keeping the market alive- kinda like Intel did since Nehalem. Nvidia was never releasing a new card this year, Volta was always scheduled for next year regardless of what AMD did. Vega was about a year late, yes, but hit all the targets. It would only disappoint you if you weren't paying any attention to anything. The topline Vega card was meant to compete with GTX 1080 and it does. GPU prices are up due to altcoin miners buying them up, that's probably just a temporary thing because either that will die down or someone will make an ASIC for whichever algorithm is hottest. Nvidia had a lot of room to lower prices and add more SKU if needed, they got stupid high margins now because AMD has made a mess. The 1070 would be 250$ today if Vega was competitive. As for Vega, it's terrible in perf per W, perf per mm2 and much worse in perf per cost(note that cost and price are 2 different things). Vega 64 and 56 are a disaster for gaming and you are the one that lacks a clue, or objectivity. I did mention the mining thing and noted that even when excluding that but you are clearly unwilling to be rational. Please don't be an idiot. What about CPUs? AMD just made Intel get off their asses and they have a $15 BILLION R&D vs AMD Market Cap of $10 BILLION. So quit blaming AMD for crap, they're stretched as is and YOU are the reason PC gaming will die. People like you care about Watts like you live in a 3rd world country. AMD doesn't have the capability money wise to focus on power draw, it's pretty obvious. They're fighting Nvidia AND Intel and they're actually doing well against Nvidia right now but all you do is look at the majestic 1080ti(which wasn't the goal anyways) and power draw. I'm for companies that are pro consumer, Intel and Nvidia aren't, hence the crap performance gains of Intel CPUs for he last 5+ years and Nvidia making you pay for $100 Gsync. Look, AMD is an excellent value proposition for certain compute situations within environments where power is not a constraint. It also is a great option to support open source, if that's your thing. Small cases are in vogue. If I'm picking between a GTX 1070 and a Radeon 56 for my Silverstone SG09 (mATX case that's slightly larger than the original BitFenix ITX), it's pretty easy to pick the GTX 1070 -- it's cheaper, performs very similarly, and is available in ITX-sized cards. "People like you care about Watts like you live in a 3rd world country."